Though Phase 1 in Dupont Circle is closed, the building that once held it may one day take on a new life. The club, which opened at 1415 22nd St. NW in 2012, was known primarily for being the Northwest outpost of the famed Capitol Hill gay bar. But the club quietly closed in mid-September, noted ANC 2B Commissioner Daniel Warwick last month. Since then, some speculation has arisen as to what the windowless off-white building might ultimately hold. But a representative from the company that owns the building, Rock Creek Property Group, appeared to give some answers to that question at last night’s ANC 2B meeting. According to Jon Lastuvka, Rock Creek’s vice president of development, the company has plans to redevelop the building into something that might one day house a retail or dining business. 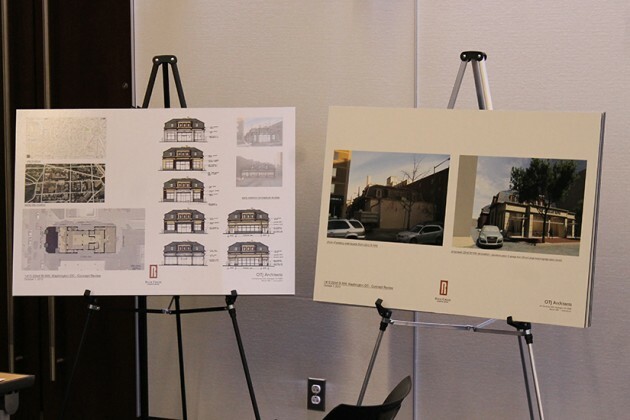 Lastuvka — along with Brett Hartle from OTJ Architects — laid out the company’s proposed redevelopment plans at the meeting. 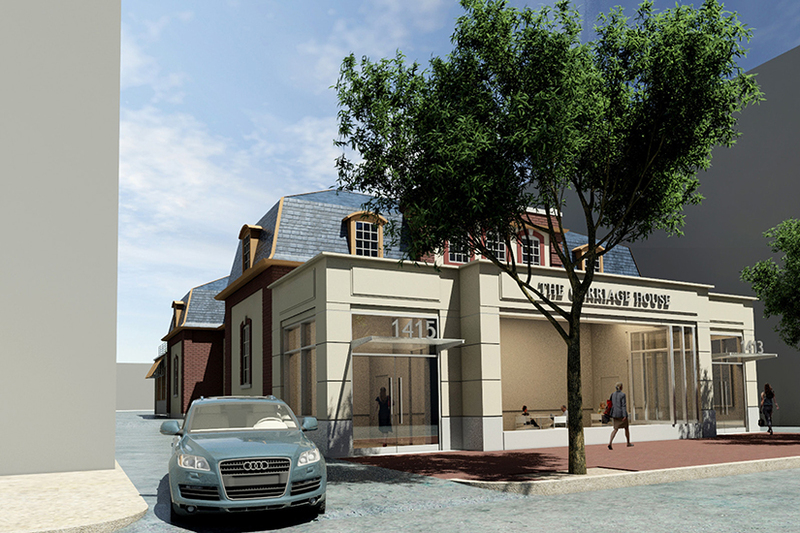 As presented, the plan calls for an exterior renovation and nonstructural interior walls to be removed, and the building’s windowless façade would make way for large, street-facing windows. “We do feel that this property lends itself really well to high-end office use, a high-end retailer, a restaurant or even a museum,” Lastuvka told the commission. There was some angst when Apex closed (it was Badlands before that) without warning last July. But Phase 1 is ready to take its place on 22nd Street just south of P Street NW this weekend, complete with a new coat of pink paint. 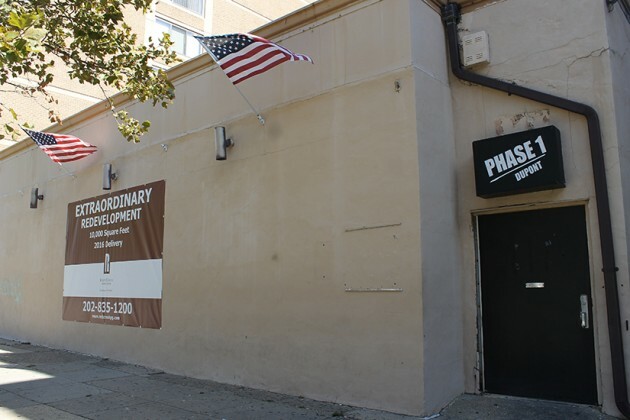 While Apex had a gay male crowd, Phase 1 (Dupont edition) will be a lesbian bar: “The new location will feature much more space than the original and is being touted as the East Coast’s largest lesbian bar,” according to the Washington Blade. While the original Phase 1 on Capitol Hill is more of a quiet place, the Blade reports that Phase 1 of Dupont will be louder, and more dance and party oriented than its older sibling. It will be open Thursday, Friday and Saturday and jello wrestling (a standard at the original Eastern Market bar) still seems TBD.